Located in the beautiful town of Chatham, Pate's has been one of Cape Cod's premier dining destinations since opening in 1957. 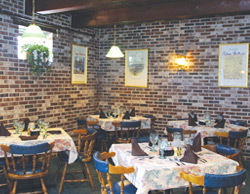 The well-appointed dining rooms, courteous staff, excellent food, and spirits combine to give a unique dining experience, that has kept customers returning again and again for decades. A must visit. now available in our lounge!